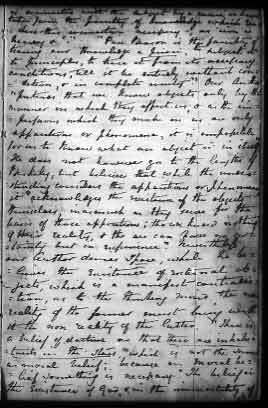 Page from the 1824 - 1826 notebook. The Pilot by the Author of the Spy. [James Fenimore Cooper] 3 vol. 'Life of Pitt' by Tomline Archbishop of Winchester – in 3 vol. Greece in 1823 & 1824 by Col. Hanhope?. 1 vol. Blaquiere's Greek Revolution. 1 vol. De Lolme's Constitution of England. 1 vol. Considerations on the French Revolution. By Mme. De Stael. 3 vols. Some Account of the Lives and Writings of Lope Felix de Vega Carpio and Guillen de Castro by Lord Holland. 2 vol. The English in Italy. 3 vol.